Nerve cell. 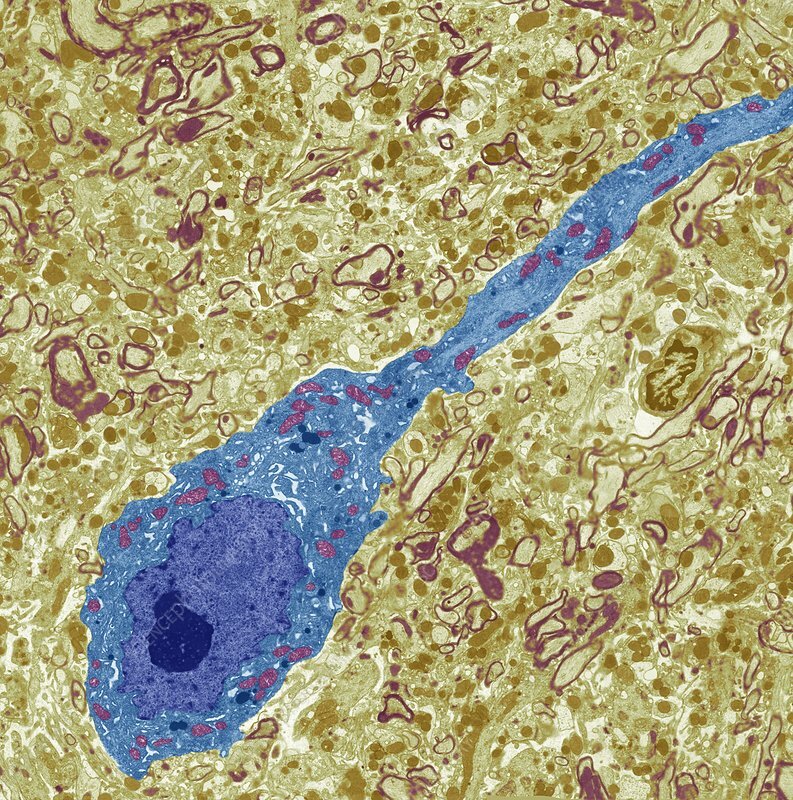 Coloured transmission electron micrograph (TEM) of a section through the cell body (blue), of a neurone (nerve cell). The cell body, with its dark blue nucleus, is in the grey matter of the spinal cord. Grey matter consists of supportive nerve cells called neuroglia, cell bodies and fine processes called dendrites. Extending up from the cell body is a long, thin process known as an axon. The axon is responsible for carrying impulses (messages) away from the cell body, while dendrites carry impulses towards it. The surrounding material is the brain's grey matter. Magnification: x1800 when printed at 10 centimetres wide.